Born in Cologne, Elisa Ardinghi graduated in Violin and Viola at the "L. Boccherini" Music Institute of Lucca under the guidance of her father Prof. Antonio Ardinghi and Prof. Claudio Valenti. 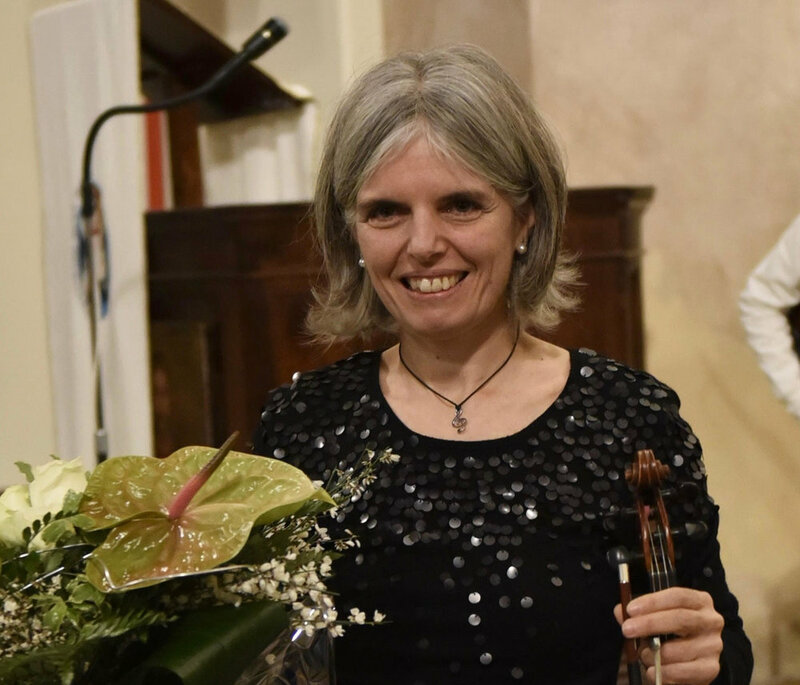 She continued her studies of Viola with Arrigo Pelliccia, Dino Asciolla and Milan Skampa following the courses of Quartetto dell'Accademia Chigiana di Siena with Piero Farulli and Andrea Nannoni. Elisa Ardinghi has extensively collaborated with internationally renowned soloists including Christopher Hogwood. She recorded Giacomo Puccini's Requiem for viola soloist, organ and chorus edited by Bongiovanni and the complete instrumental music of Cimarosa with the authentic instruments ensemble “L’Arte dell'Arco" for the Amadeus magazine. She has collaborated as first viola with the symphonic orchestras of Sanremo, Lucca, Padua and with "the Accademia I Filarmonici di Verona." Elisa Ardinghi has performed with various chamber groups of the A.Toscanini di Parma Orchestra at the contemporary music festival in Boston, The Boston Musica Viva, The Museum of Fine Arts. She teaches Violin Suzuki Method and holds the European diploma of the European Suzuki Association of 4rd level, as well as the 2nd level diploma for teaching of the Viola.